Are you on a vegan diet and wondering whether there are completely plant-based African dishes to incorporate into your nourishment regime? We’ve got you on this one. We’ve scoured the internet with you in mind and luckily, we found this round-up of the best vegan African recipes from Nigeria, Ethiopia, Morocco, South Africa and other North Africa as compiled by One Green Planet. Bejus, a type of of coconut cookie widely known in Nigeria, also seem to be common in the northeast of Brazil under the name bijus or tapioquinhas. Over there, these cookies include various fillings such as dulce de leche, jam, compote or butter. In Nigeria, these cookies are made with only three ingredients: cassava root, coconut, and sugar. Beju is a dessert that will even appeal to gluten and grain intolerant people, as it contains no wheat flour. Akara are deep-fried bean fritters, popular in West African countries and Brazil. Black-eyed peas are the most common choice of bean for this crispy snack, but other beans, each with their own flavor or texture, can be experimented with until you find your favorite. Akara can be enjoyed as a snack or appetizer with a side of savory sauce for dipping and they’re best served while still fresh and crispy. ﻿This Nigerian Ratatouille isn’t your classic ratatouille! The classic Provencal dish has been reinvented with Nigerian flavors like subtly sweet plantains and a chunky sauce made from bell peppers, tomatoes, and spices. You’re welcome. Ethiopian Pumpkin Stew is rich with flavor and color! Quinoa is extremely nutrient rich, and makes a great base for this recipe. 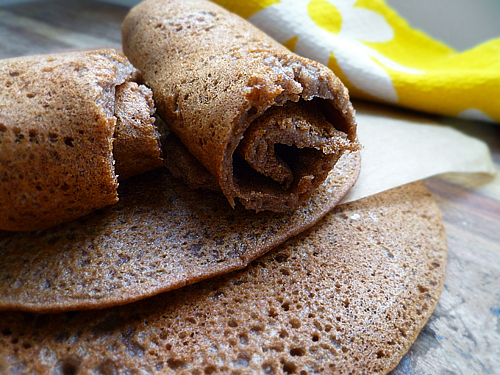 Enjoy this dish as a stew on its own, or on top of store-bought injera bread. Ethiopians have food figured out. That’s the truth. What’s not to love? You make some amazing, magical spongy bread, top it with all kinds of spicy multi-colored vegan food, and eat it with your hands. Point for the dishwasher right there. It’s fun, social, different, and, really, just plain cool. So get some of your buddies over, lay out a big ol’ plate covered in spicy delectables, and go for it. 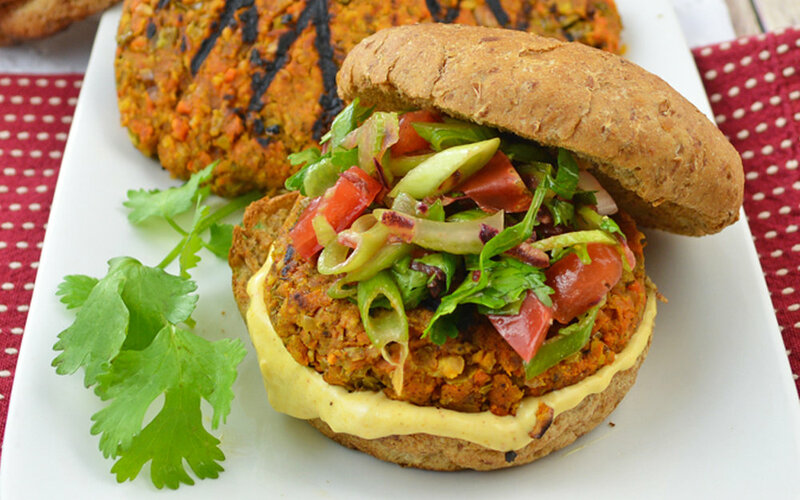 ﻿Ethiopian Sweet Potato Burger are something special. They’re made from deliciously spiced patties with the addition of an aioli inspired by nitter kibbeh, also known as Ethiopian butter. If that isn’t enough to make you want to drop everything and make these burgers right now, a spice-infused oil weaves its magic through the burger and right into the sauce. Ginger, garlic, clove, cinnamon, cardamom, coriander, paprika, and cayenne will fill your kitchen with a hypnotic aroma. Root vegetables are dominant in African cuisine. Add that to the spicy laden flavors of North Africa and you get some really good food. North African Couscous is rich in flavors and so easy to prepare. Vegetables and spices go in the crock pot. At dinner, serve Slow Cooker North African Couscous. These savory Red Bean Patty Wraps With North African Chermoula Sauce combine the flavors of a traditional North African spice mixture with a gluten-free red bean patty. It combines the flavors of a traditional North African spice mixture with a vegan and gluten-free cakes. Herbs are the main ingredient of chermoula, a marinade used prominently in Morocco, Tunisia, Libya, and Algeria. Parsley, cilantro, oil, lemon juice, pickled lemon, and other seasonings bring a fresh flavor, making chermoula the perfect marinade for warmer weather. 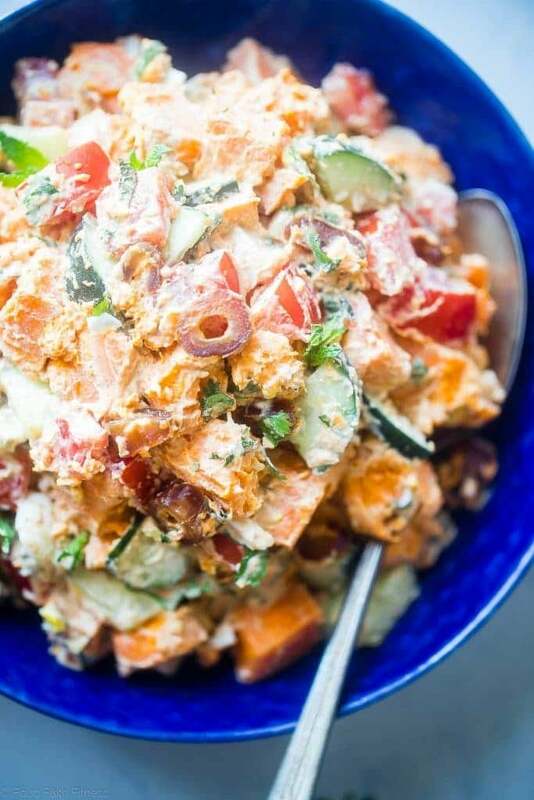 The words potatoes salad don’t seem to generate a lot of excitement but that being said – this Moroccan Sweet Potato Salad from Taylor Kiser is making our hearts race. The tender chunks of sweet potato are covered in roasted pistachios, chopped cucumbers, fresh tomatoes, a pinch of fresh mint, and then finished with a creamy cashew dressing that has the lemony perfume of Moroccan spices which make this salad truly unique. Bunny chow is a South African street food that traditionally consists of a meat-based curry served in bread. This completely plant-based Bunny Chow: South African Curry in a Bread Bowl is made with hearty spiced chickpeas and potatoes instead. As for the name, it has nothing to do bunnies or rabbits. It originated in Durban, South Africa and is said to have been made by the Indian banias who migrated there. This is the perfect, comforting meal on a budget to keep you warm during the colder months.